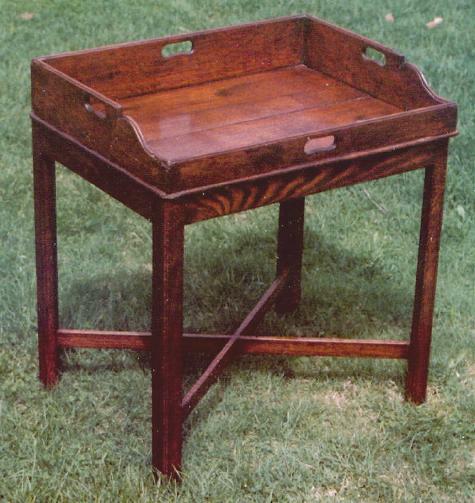 For several years Falcon-Woodworks has made custom stands for antiques items such as small writing slopes (boxes), brass and wooden trays, gun boxes, etc. Shown below are just a few examples. The typical prices show below are for the stand only. 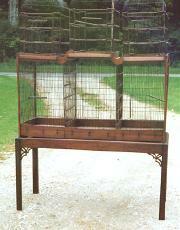 The items on the stands are an antique item owned by the client commissioning the stand. An elegant mahogany Tray Stand made for a fine, oval, yew wood, tray with a pie crust edge. 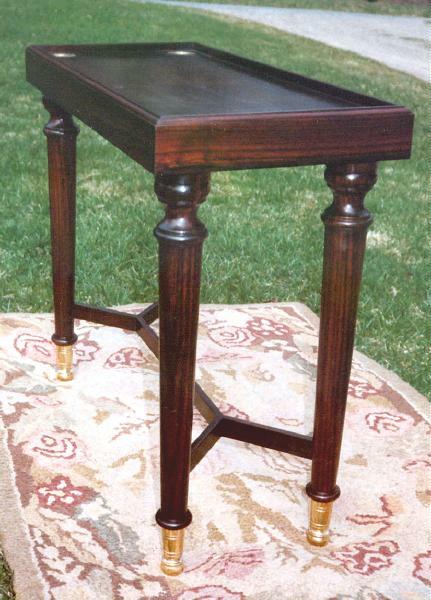 To complement the tray the stand has a delicate tapered leg with a double scalloped cross stretcher meeting at a hand turned urn. 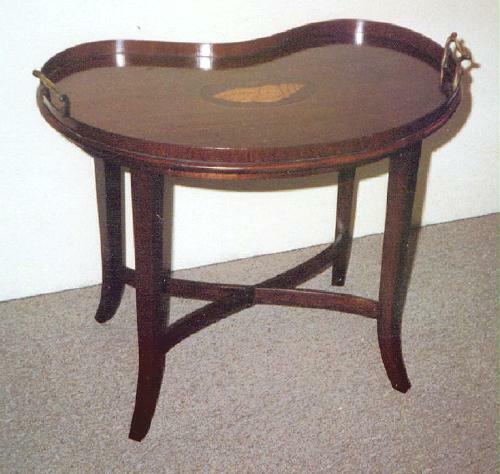 This Stand along with similar tray stands made by Falcon-Woodworks has a 3/4" mahogany veneered top so that the tray can be removed from the stand for serving. 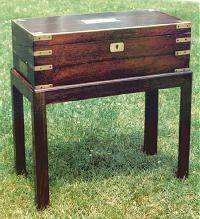 A Rosewood Stand custom made for a rosewood writing box with brass strapping. 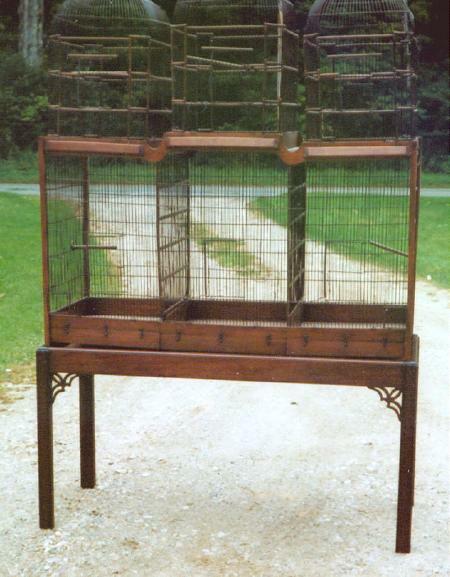 Click for a detail of the stand. The stand is made to exactly fit the box which very often is not square. The rebated top edge of the stand is cut to about 1/8" deep the secure the box without covering too much of the base of the box. 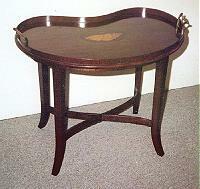 This stand can be made with or without a stretcher which is usually an H or X type. 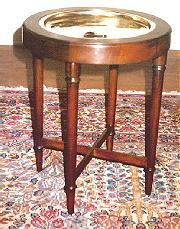 Mahogany Stand with a turned leg and cross stretcher to hold a small antique brass tray. 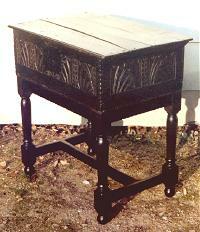 Classic Jacobean Style Stand for an early English Oak Bible Box. This stand, made from oak, was based on an English Oak "Joint Stool" that was made in the 1700s. 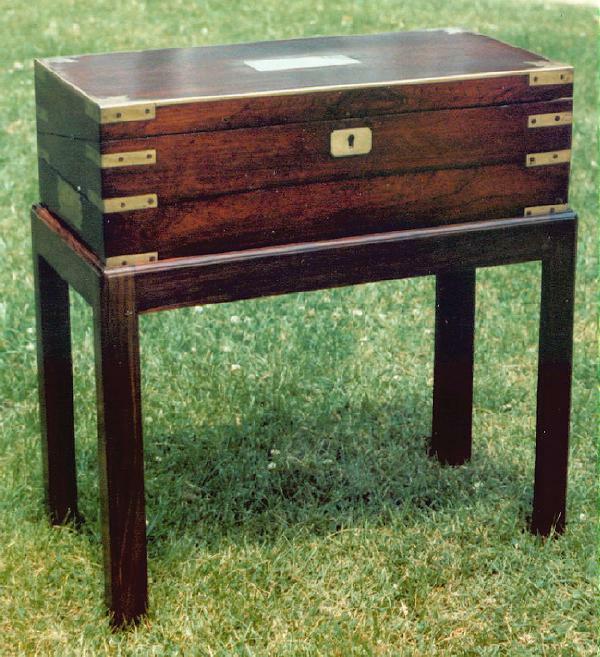 The stand was stained a very dark brown to match the box. A very elegant Rosewood Stand that was made to display a fine antique Swiss Music Box. 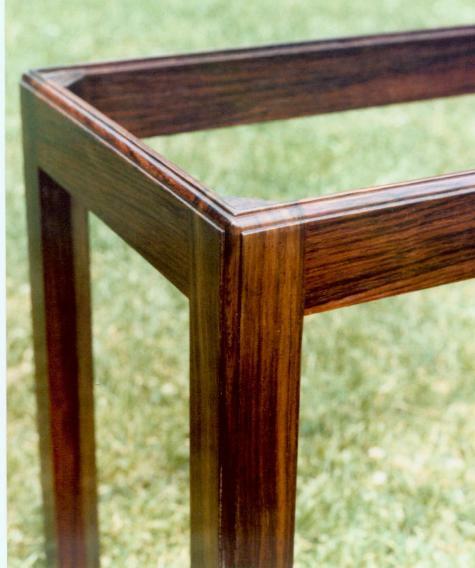 The custom turned rosewood legs are fitted with brass feet. 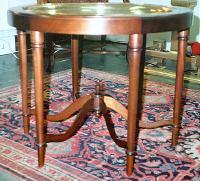 Six Legged Mahogany Tray Stand with hand turned legs and a spider stretcher. The large brass tray can be easily removed for serving or cleaning. 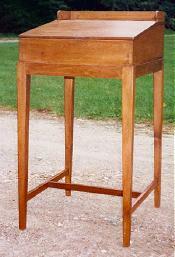 Pine Warehouse Table Desk fitted to a simple matching pine stand with a tapered leg and H stretcher. 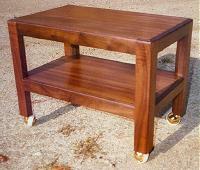 Walnut TV Stand with brass casters. Made in a similar style to our box stands but larger and more substantial to support the weight of a television. VCR/DVD Player will fit nicely on the shelf. 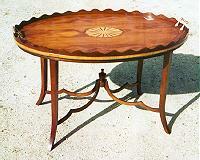 Kidney Shaped Mahogany Tea Tray fitted to a Mahogany Stand. 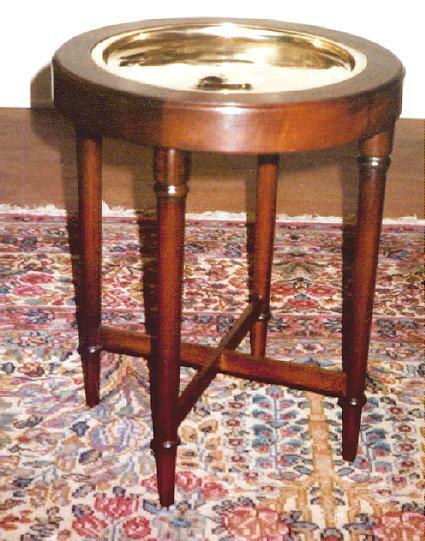 This Stand along with similar tray stands made by Falcon-Wood has a 3/4" mahogany veneered top so that the tray can be removed from the stand for serving. 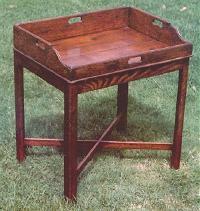 An Oak Butlers Tray on a matching Oak Stand. The tray sits on the stand and can be lifted off for use. Send for additional information or quotation.